THE LANGUAGE AND COMMUNICATION RESEARCH CLUSTER IS DELIGHTED TO ANNOUNCE THE PRESENTATION BY PLAYWRIGHT AND MIDDLESEX LECTURER IN MEDIA NARRATIVE JAMES KENWORTH ON HIS PLAY ‘A Splotch of Red: Keir Hardie in West Ham’. In this presentation/talk, I will focus on the ongoing importance of the concept of site-specific environments to my writing practice and thinking about theatre making; the fusing together of my principal interests in creating theatre-orientated work, namely use of public, unconventional performance spaces and non-naturalistic /creative language in a A Splotch of Red: Keir Hardie in West Ham, the third instalment in my Newham Trilogy; and a brief consideration of the public, inclusive and social nature of community-orientated, history-based theatre. James Kenworth is a Playwright and a Lecturer in Media Narrative at Middlesex University. His writing include ‘verse-prose’ plays Johnny Song, Gob; black comedy Polar Bears; issue-led plays Everybody’s World(Elder Abuse), Dementia’s Journey (Dementia); plays for young people/schools The Last Story in the World; and a Newham-based trilogy of site-specific plays, When Chaplin Met Gandhi, Revolution Farm and A Splotch of Red: Keir Hardie in West Ham. His play, Dementia’s Journey, won the 2015 University of Stirling International Dementia Award in the category: Dementia & the Arts. When Chaplin Met Gandhi and Revolution Farm is published by TSL Publications. A Splotch of Red has recently been published in a collection of political plays by Workable Press, a new publishing imprint dedicated to trade unions and organised workers. He is currently working on his new play Alice in Canning Town, a contemporary, urban adaptation of Lewis Carroll’s Alice in Wonderland, reconfigured for the East End and performed site-specific in Arc in the Park, an inclusive adventure playground in Canning Town. Our Middlesex colleagues, playwright James Kenworth and director James Martin Charlton, have been awarded the prestigious Royal Docks Trust Grant to write and stage an innovative, site-specific play, Alice in Canning Town. Alice in Canning Town is a brand new contemporary, urban adaptation of Lewis Carroll’s Alice in Wonderland, reconfigured for the East End, and performed site-specific in Arc in the Park, an inclusive adventure playground in Canning Town. The play will reflect the ever-changing face of the East End over the years, from Cockney to Bangra, Krays to Stormzy, and will be a celebration of not only one of the best loved fantasies of all time, but a kaleidoscopic and action-packed journey through an East End that survived Hitler’s blitz and reinvented itself as a leading light in multicultural Britain. The performance will feature a combination of professional actors, young performers from the local area, and a live youth orchestra. James’s previous plays have all given opportunities and experience to local young performers, and explored the Borough’s rich political history. The show will be performed at Arc in the Park in the Summer of 2019. 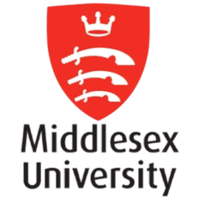 Middlesex English & Creative Writing students may be involved in the creative process which will chiefly benefit young people from Newham. The show will build on the pioneering work the playwright (James Kenworth, Lecturer in Media Narrative) and director (James Martin Charlton, Head of Media) have done in the field of education, community and site-specific theatre. James Kenworth’s most recent play, A Splotch of Red, was the third in a loose trilogy of East End-based plays, all dealing with revolution and social change, and all performed in appropriate locations in the London Borough of Newham. It follows When Chaplin met Gandhi, staged in 2012 at Kingsley Hall, where the Indian leader stayed during his 1931 visit to Britain, and Revolution Farm, a ‘hoodie version’ of George Orwell’s Animal Farm, performed in 2014 at Newham City Farm, in the shadows of Canary Wharf. Arc in the Park is a vibrant and dynamic Adventure Playground, featuring tree houses, swings, trampolines, rope bridges, giant slides, teepees, and as such, is a perfect fit for the playful and surreal world of Carroll’s Alice in Wonderland. Its unusual and imaginative play resources make it an exciting and unique performance space for an Alice in Wonderland reimagined for the East End. The Arc provides a Newham-wide delivery and resource base for young people with disabilities and/or additional needs and their families. We will work closely with Arc in the Park’s management body, Newham charity, Ambition, Aspire, Achieve, to provide opportunities for local young people to be involved in the making of a professional theatre show. Kevin Jenkins OBE founded AAA because of a longstanding desire to provide opportunities for the youth of Newham and East London. AAA have an exemplary track record in providing activities and experiences for young people in the Newham and East London area that build confidence and expand minds. The Language and Communication Research cluster is delighted to announce the presentation by playwright and Middlesex lecturer in Media Narrative James Kenworth on his play ‘Revolution Farm’. In 2014, James was given special permission by AM heath Agents on behalf of the George Orwell estate to adapt and modernise Orwell’s classic satire, Animal Farm, and give it a fresh, contemporary twist, injecting its timeless tale of a revolution that went wrong with a gritty, urban, ‘in-yer-face’ language. The play was unique in another respect: it was staged on one of London’s longest established and largest inner city farms: Newham City Farm, home to a large collection of farmyard favourites such as cows, horses and sheep. In this presentation, James will explore the process/methodology of adapting a literary classic with a contemporary spin, with special emphasis on a creative and expressive approach to playwriting language/dialogue. The paper will also address the challenges of setting the play on an inner city farm and how the use of non-conventional theatre spaces affects and reconfigures the relationship between a play and audience. James Kenworth is a Playwright and a Lecturer in Media Narrative at Middlesex University. His writing include ‘verse-prose’ plays Johnny Song, Gob; black comedy Polar Bears; issue-led plays Everybody’s World (Elder Abuse), Dementia’s Journey (Dementia); plays for young people/schools The Last Story in the World; and a Newham-based trilogy of site-specific plays, When Chaplin Met Gandhi, Revolution Farm and A Splotch of Red: Keir Hardie in West Ham. He has extensive experience of planning, preparing and teaching playwriting and creative writing programmes/workshops for a wide variety of age groups and learners including children, young people, students and adult learners. He has worked on a regular basis on the delivery of these programmes with leading arts and educational organisations such as Spread The Word, Cardboard Citizens, Workers Educational Association University, Newham Adult Learning Service, Newham Libraries, Newham College, Community Links, Soho Theatre, University of East London and Middlesex University. Click here to see all 2018 Language & Communication research seminars.